Your home’s plumbing is just as important as a solid foundation. Plumbing is a basic service that is mostly out of sight, but common problems can crop up when you least expect them. 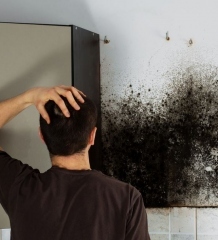 Even one problem could end up causing major damage to your home. Here is an outline of some ways you can check your plumbing for potential problems. Most experts will tell you that a home’s water heater should be good for approximately 10 years. If you’re looking for a new home, you should inquire about the age of its water heater to determine how much time it has left. If you’ve already been in your home for some time, you can use the estimate to plan the best time to replace your water heater. Even if the device is still young, you should check its placement. Is it in an area that will cause a lot of problems if it starts leaking? Your home’s toilet is a convenience that you might take for granted while it is working properly. Inspecting your toilet regularly might help you avoid costly problems with it in the future. You should check the area around the base of the toilet for any drips or leaks. Use some sealant to patch these leaks as soon as possible. Use your hands to see if the toilet is stable or rocking back and forth. Although it is relatively easy to check for many plumbing issues on your own, some parts of your plumbing system may require the help of a qualified professional. Your basement or any crawlspaces in your home may have pipes that are leaking or showing signs of damage. Plumbing services usually have the equipment and expertise to correct these issues quickly. Good water pressure is essential for many household tasks such as general cleaning, washing dishes, or bathing. 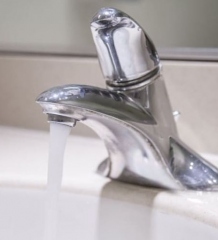 To test your home’s water pressure, locate every faucet and turn them all on at the same time. Having the water flow to all available faucets at once can help you determine if your water pressure is high enough. For the best water pressure, you will need pipes from the source to your home that are at least three-quarters of an inch in diameter. Your home’s plumbing is a complex system of pipes that is mostly hidden until you need to make repairs. This guide provides you with some tips on how to check some of the plumbing parts you may have.